When it’s all said and done, the 2018 Yankees might overtake the 2015 Yankees as the most joyless postseason team in recent memory. The limp to the finish continued Sunday afternoon with a come-from-ahead 3-2 loss to the Blue Jays. 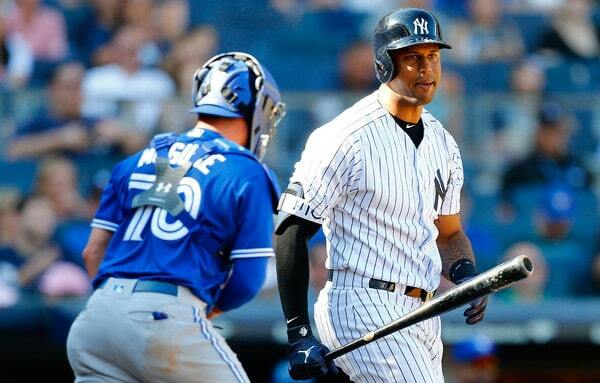 The Yankees have now lost consecutive series to the Twins (67-81) and Blue Jays (67-82). The good news? The Athletics lost again, so the lead for the top wildcard spot remains two in the loss column. Three when you factor in the Yankees holding the tiebreaker. The bad news? The Yankees will play ten of their final 13 games against the Rays and Red Sox. The A’s will play nine of their final 12 games against the Angels and Twins. 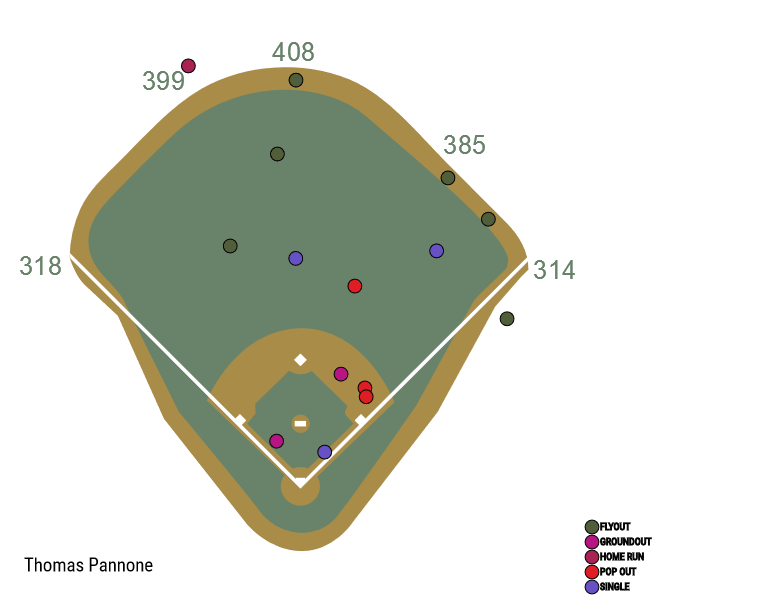 The Yankees scored two runs in the first inning and still managed to have a sad showing against soft-tossing lefty Thomas Pannone, who topped out at 90.1 mph and averaged 87.8 mph with his fastball Sunday. Andrew McCutchen clobbered a middle-middle heater for a leadoff homer, his second as a Yankee and fourth of the season, then Didi Gregorius plated another first inning run with a sacrifice fly. A Giancarlo Stanton walk and an Aaron Hicks single set that up. Not great. Pretty terrible, in fact, especially since the Yankees have so many quality right-handed hitters in the lineup. Pannone lulled them to sleep all afternoon, like the Yankees have lulled me to sleep for the better part of two months now. Two runs on four hits and two walks in seven innings against a rookie who went into start with a 4.91 ERA (4.64 FIP) in 36.2 innings. Oh, wait, those are Pannone’s Triple-A numbers. Facepalm. Aaron Boone has been hit or miss with the bullpen all season, though I loved the way he went after it Sunday. After Lance Lynn got through five innings, Boone went to the well-rested David Robertson for two innings, and he needed only 24 pitches to get those six outs. After that, Boone brought in Dellin Betances to face the top of the order in the eighth. Well, the No. 9 hitter and the top of the order. That’s when everything went south. Reese McGuire blooped a single to center, Justin Smoak pulled a hard-hit grounder to right to put runners on the corners, then pinch-hitter Rowdy Tellez filleted the game-tying single to left. Tie ballgame. The go-ahead double was, literally, one of the weakest batted balls of the game. But it was well-placed. Grichuk looped a little line drive over Luke Voit at first base to drive in the winning run.
? Imagine a Yankees hitter doing that. Reaching out and poking an outside pitch the other way with men on base. Betances did well to strand runners at second and third — Yangervis Solarte hit a tapper back to the mound with one out that allowed the Yankees to erase the lead runner at third — but the damage had already been done. The 2-1 lead became a 3-2 deficit. The Yankees had a chance to tie the game in the eighth inning when Teoscar Hernandez gifted Stanton a triple with two outs. It was scored a single and a two-base error and that was exactly what it was. Stanton pulled a legit ground ball single through the left side, Hernandez tried to barehand it (? ), and the ball got by him and rolled to the wall. Hicks then struck out to end the inning. Ken Giles worked around Didi’s one-out single in the ninth. Lynn was fine. He retired the first six batters he faced, then four of the next eleven batters reached base, and he was pitching in and out of trouble the rest of the way. His final line: 5 IP, 3 H, 1 R, 1 ER, 1 BB, 7 K on 80 pitches. I had no problem with Boone yanking Lynn at that pitch count after five innings. There’s an off-day Monday, so the bullpen will get rest, and letting him go through the lineup a third time is bad news (.283/.380/.465 this year). McCutchen, Stanton, and Hicks: 4-for-11 (.364) with a walk. The rest of the lineup: 2-for-20 (.100) with one walk. Gregorius had the ninth inning single and Gleyber Torres had the bloop single that Grichuk had in his glove, but couldn’t catch. That is pretty terrible. At all times, but especially against Thomas Pannone and Mark Leiter Jr. and Ken Giles. An off-day. The final off-day of the regular season, in fact. After that, the Yankees open a three-game series with the Red Sox. Boston’s magic number is two, so the Yankees have to sweep (lol) to avoid the Red Sox clinching the AL East title at Yankee Stadium. Tuesday’s series opener is a 1pm ET start for Yom Kippur, weather permitting (there’s rain in the forecast). J.A Happ and Nathan Eovaldi are the scheduled starting pitchers.